The Dark Souls board game is a deeply immersive, strategically demanding combat exploration game for 1-4 players. Staying true to the Dark Souls universe, this game involves several innovative gameplay mechanics and has outstanding miniatures that are faithful to the original video games’ rich universe. To play Dark Souls board game, players have to take their pick from several core character classes and explore risky locations full of deadly boss fights, treasures, and monsters. Considered to be one of the most challenging board games, Dark Souls consists of many boss and mini-boss encounters, a notable one being against Executioner Smough and the Dragon Slayer Ornstein. Thanks to the game’s pioneering behavior mechanism, no two encounters are ever the same. This gives Dark Souls almost infinite replayability, which is a big draw for the game’s ardent fans. 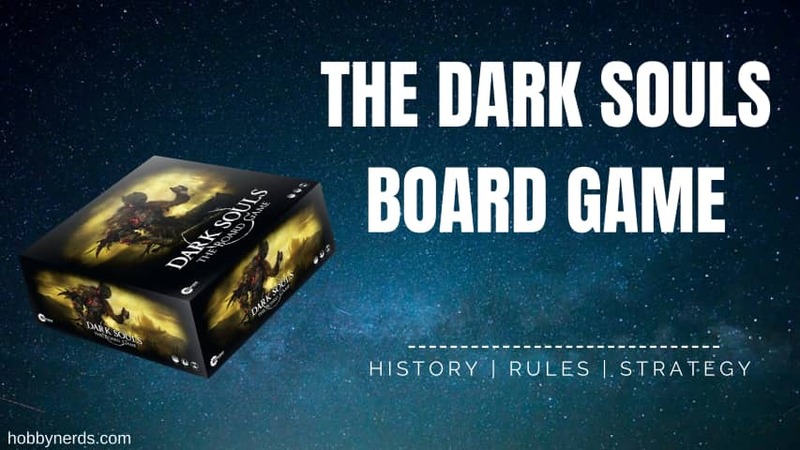 Dark Souls board game is developed by Steamforged Games. In 2016, Steamforged Games launched a Kickstarter campaign to raise $50k for creating the game. Quite unbelievably, the funding goal was achieved in just 3 minutes after the campaign was launched. Finally, more than $3.7m was raised. Dark Souls board game was released in 2017. 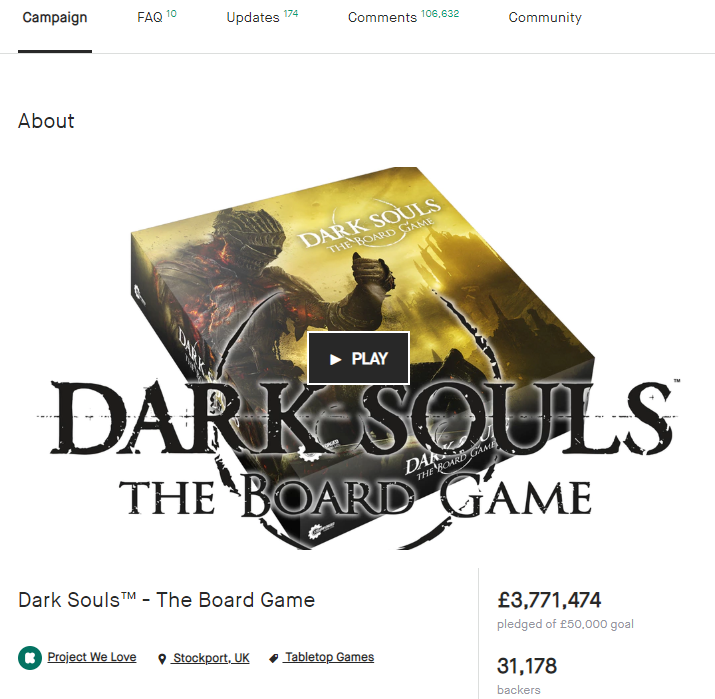 Dark Souls board game is suitable for 1–4 players. They can play either in the Co-op or Solo modes by choosing their role from several core Dark Souls character classes. Every class comes with a unique set of abilities and strengths, and has a specific role to play in the game. To win this dungeon crawl board game, players need to work together strategically to learn how to defeat the enemies before their final showdown with the boss. The game is divided into a series of encounters, which lead the players to a mini-boss battle. This is followed by additional encounters before a final boss battle. Players will find particular weaknesses and attack patterns of the enemies, but they should proceed carefully. At any point, if a player’s character dies, the game starts over as all players return to the bonfire, and the current set of encounters is reset. Due to the limited number of sparks (or uses) on the bonfire, every voluntary rest at bonfire or death makes the players inch closer to defeat. In a way, death is inevitable at some stage in the game’s proceedings. Yet, the players should try to avoid it, whenever possible, by learning the nuances quickly and using resources sparingly. To understand the game better, you can take a look at the Steamforged Games Website. You can know about the game’s rules in detail at Steamforged Games Website. 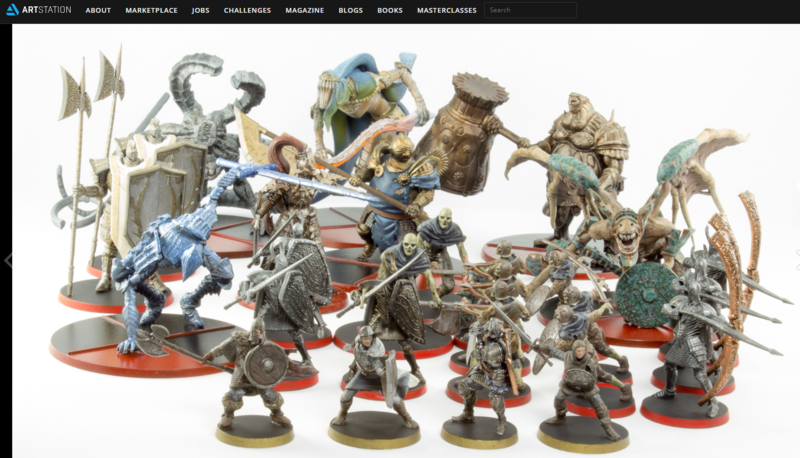 The miniatures of Dark Souls board game are modeled after enemies and player characters of the video games Dark Souls, Dark Souls 2, and Dark Souls 3. The Dark Souls board game is an officially licensed board game based on the video game series. The board game’s expansion features scary new mega bosses, new boss behaviors and treasures, and new characters in different forms. In Explorers Expansion – Old Dragonslayer Mini Boss, players get a new mini-boss option. It’s a boss encounter from Dark Souls 2 based on a dark magic-wielding edition of Ornstein from Dark Souls 1. In character Expansion – Sorcerer Player Character, players have the chance of selecting characters from the expansion set instead of the core set. The quality and detail the game’s miniatures display are simply world-class. For the game’s developers and manufacturers, deciding which bosses and enemies they would include in the core game was one of the hardest decisions. Some players give their game miniatures a personal touch by hand painting a few or the entire set for some added fun. 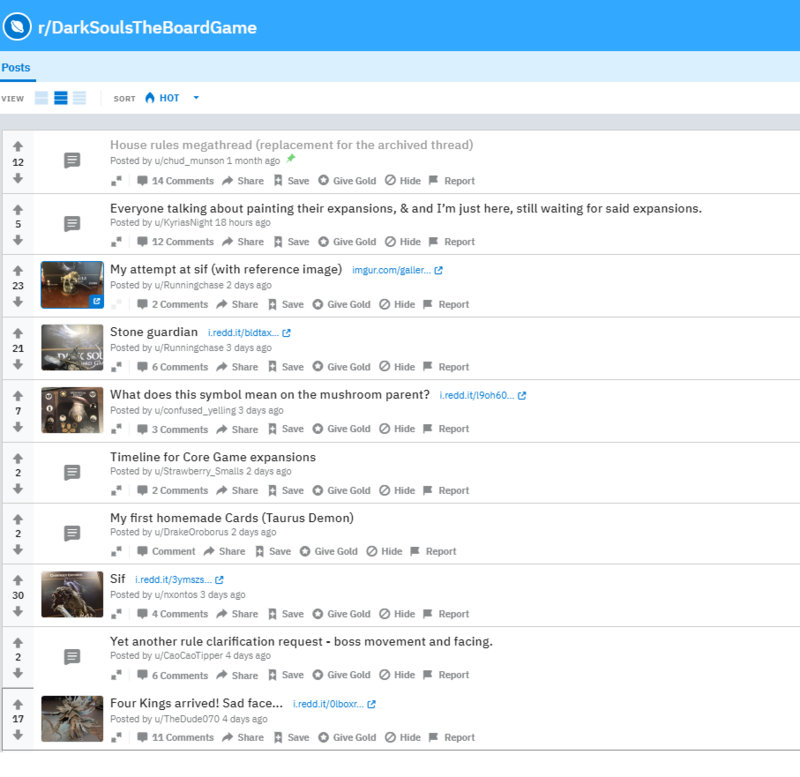 If you have the habit of reading Reddit board games’ reviews before taking your pick, you can head to the Dark Souls board game subreddits to get an idea of what players like and dislike. From first-time playing experiences and discussions on what works and what doesn’t to views about expansion sets and new enemies, you will get a sneak peek into the novice and ardent players’ world. You can even check some review sites for a detailed feedback on the board game. Some call the game a grueling slog due to the repetitions involved (where the players have to deal with the same encounters over and over again). However, for many others, it’s an interesting puzzle that needs players to strategize and decide which enemies are the ideal ones to attack and which nodes they should escape. The game’s ‘dynamic positioning system’ is a top draw for most players as it keeps the game state continuously shifting, thus demanding the players to be alert to both opportunities and dangers.